There is currently a gift with purchase offer at the Estee Lauder online store. 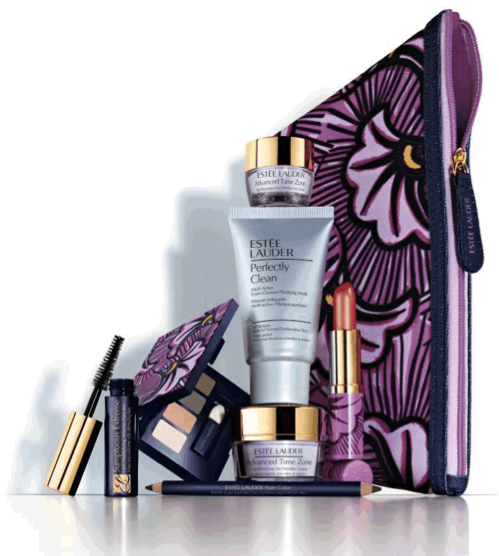 When you spend $70 or more on Estee Lauder products you will receive a bonus 8 piece gift worth up to $200! This GWP offer is available until sold out online. For further information please visit the Estee Lauder online store here. I love the packaging of the lippie and eyeshadow palette. So cute! The packaging is adorable! Even though these are GWP items, they do look like limited edition makeup sold individually!